Popular Ghanaian gospel musician Gifty Osei Adorye has alleged that Cecilia Marfo, the Ghanaian gospel musician who is also a reverend minister wrote her name on a GH¢50 note and buried it with the intentions to kill her. 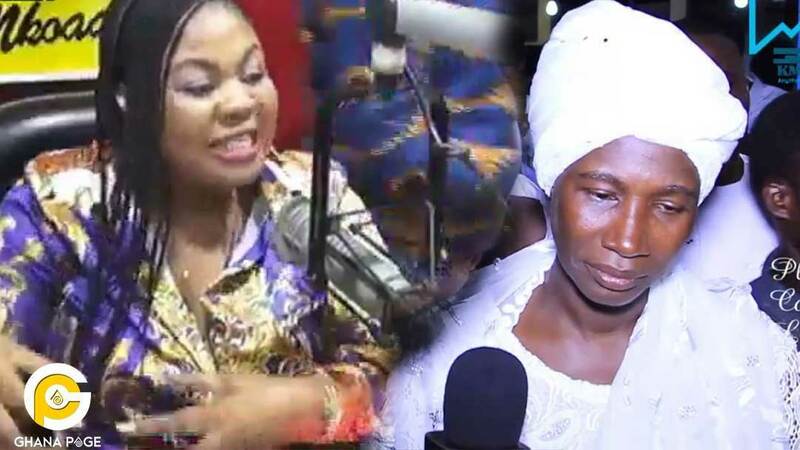 According to Gifty Osei in a radio interview, she has a lot of things to say concerning the Juju in the gospel music industry of Ghana but she will speak to the public at the appropriate time. Less than two days ago, an associate pastor of Cecilia Mardfo called Gideon came public with the allegation that Cecilia Marfo is a witch and she uses the name of God in vain. Gideon also alleged that Cecilia Marfo cheats on her husband and she has confessed to him that neither she nor her husband fears God. The post Cecilia Marfo wrote my name on GH50 note & buried it to kill me-Gifty Osei appeared first on GHANAPAGE™.